The Weekly Walk: Is It Cold Out Yet? It’s been mild weather in Chicago for our Weekly Walks, but winter is finally here with steady, below-freezing temps in the forecast. If you’re curious about the typical attires people don around these parts for the season, we did a short post about just that some time ago. Click here to read it. Or stay here to read the rest of our Weekly Walk today. Woof! Buddy loves people. He loves people so much that he has separation anxiety when he is left alone. 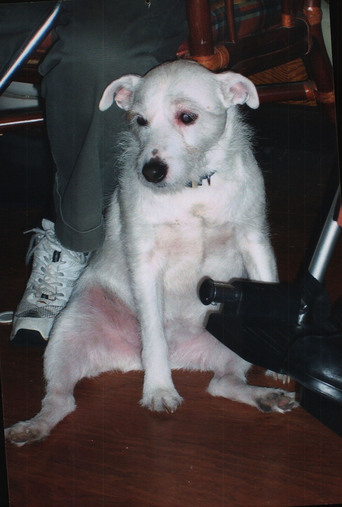 So the Sunrise Senior Living facility adopted the Jack Russell Terrier mix and gave him people to spend time with 24/7. He roams the halls and eases residents’ stress and loneliness by letting them pet him, teach him tricks, and walk him. He sounds like he would be a wonderful member of any community, and we are glad he found a home where he can love many people and many people can love him. Click here to read a write-up about him. Obie is holding steady at 50 lbs this week. Great job, Obie! Woof! “Cheep,” goes the English bird, in case you had forgotten. Friday Fun: The Stairs! The Horror! Some days the stairs look steeper than they actually are, and a little help and encouragement is necessary to get you down them and on your way — like this video of Wilma the pup and Simon the big dog shared on Facebook. It’s just under two minutes long and we agree with the caveat about viewing it: “Your heart will melt.” Click here to watch the video. Did you enjoy the Weekly Walk this week? Do you have any pet stories you want to share with us? Write in the comments below, on Twitter, or Facebook. Thank you and woof woof! Our first December Weekly Walk. As we stroll today, imagine the holiday lights, the twirling snowflakes, the chilly breeze that makes you bury your hands in a shaggy dog’s fur. Brrr. Or you can imagine summer is right around the corner. Ashepoo and Peyton. Click to read HeraldOnline article. Peyton, a two-year-old boy, goes missing with his two-year-old dog, Ashepoo. His parents and grandparents search for them. The community searches for them. Police and K9 units search for them. Even a helicopter unit is sent to scan the area for them. People fear they got lost in the woods, but the boy and his dog did not. According to Peyton, he had an “adventure,” and then fell asleep behind a brick house. Ashepoo stayed and watched over him, which led to someone noticing the canine, which led to Peyton being found, which led to a happy ending. Woof. A nifty chart to show Obie’s progress. He’s down to 55 pounds! 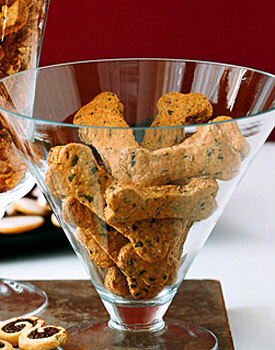 One of the reviewers says her husband loves these dog treats too. We dug this one out of the ground for another listen. Hover-dog! Possible relation to Krypto the Superdog? A digital pet and fundraising app, iMutt helps teach responsibilities associated with raising a dog, while also creating awareness about abandoned pooches. We think kids will especially benefit from the game’s lessons, such as how much of a time commitment having a happy pet is. Like Dogs Trust, makers of iMutt, are keen on saying, “A dog is for life, not just for Christmas.” If you click the picture to the right, you can read a review of the app. And the first Weekly Walk of December ends. Join us for more pet news, facts, and pictures on Twitter and Facebook. Woof! We set off on our Weekly Walk a day earlier to celebrate a day of thanks. We’re thankful for paws and whiskers and leashes and tails wagging and animal advocacy programs and walks and many, many animals and many, many other things. And, of course, we’re thankful for you joining us each week. We love to hear when people rescue pets from shelters, when they donate to causes like relief funds for Hurricane Sandy victims, and when they take the initiative to raise awareness about animal rights. Which is exactly what Gorman Bechard and Patricia Clark are doing with their *Kickstarter project, A Dog Name Gucci. They want to tell the story of Gucci, a horribly abused dog, who changed Alabama’s animal rights laws with the help of a compassionate owner. We hope this documentary is a success and helps institute more laws to protect animals. *The project’s Kickstarter page contains some graphic content. 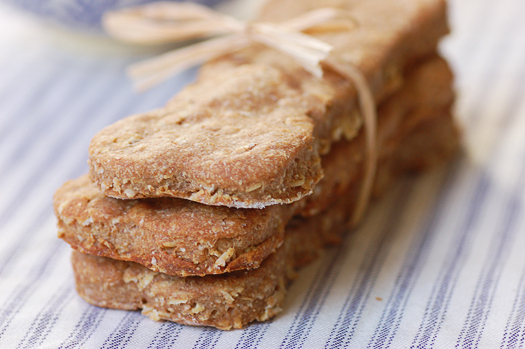 We’re thankful that people share delicious recipes for pets: Peanut butter and banana dog treats.These are only for dogs? We’re thankful animals can communicate and we can pretend to know what they’re saying. We’re thankful for fun pet pics. Last year we shared a cautionary pet tale from Florida humorist Dave Barry’s book, Dave Barry Talks Back. We think it’s worth a repeat. And like last time, we take no responsibility for spoiling dinner, if you read this beforehand and anxieties have you constantly excusing yourself from the meal to check on the dog’s whereabouts. [Mike and Sandy’s dog] Mousse was a Labrador retriever, which is a large enthusiastic bulletproof species of dog made entirely from synthetic materials. This is the kind of dog that, if it takes an interest in your personal regions (which of course it does) you cannot fend it off with a blowtorch. So anyway, Mike and Sandy had two visitors who wore expensive, brand-new down-filled parkas, which somehow got left for several hours in a closed room with Mousse. When the door was finally opened, the visibility in the room had been drastically reduced by a raging down storm, at the center of which was a large quivering down clot, looking like a huge mutant duckling, except that it had Mousse’s radiantly happy eyes. For several moments Mike and Sandy and their guests stared at this apparition, then Mike, a big, strong, highly authoritative guy, strode angrily into the room and slammed the door. He was in there for several minutes, then emerged, looking very serious. The down clot stood behind him, wagging its tail cheerfully. Thank you for walking with us today! Be sure to share any fun holiday stories you have in the comments section, on Twitter, or Facebook. Happy Thanksgiving and woof!